The internet changed the world forever through disintermediation. The internet improved supply chain efficiency through disintermediation. So did open source software, Wi-Fi, cell phones, 3d printing, ubersation, DVRs, Napster and MP3 compression, GPS applications, and of course microprocessors. Now the internet of things (IoT), driverless cars, artificial intelligence and blockchain distributed ledger applications will carry on that tradition. The blockchain and cryptocurrency entrepreneurs want to eliminate Amazon, Google, and Apple. They also want to eliminate super-sized intermediaries such as credit card companies, financial institutions, and government agencies. Yes, and replace them with themselves. The new-new-age intermediaries will be the cryptocurrency and blockchain companies. They want to emancipate consumers and businesses from the clutches of the dotcom elites. There is a proposed blockchain application for virtually every existing legacy applications, and there is probably an initial coin offering to pay for it (www.icoalert.com ). Lock-in occurs when there are switching costs involved in switching from one product to another product (Shapiro and Varian 1999). There are switching costs when you move to new operating systems, tax software, mobile carrier, or loyalty program. Sometimes the switching costs are contractual. For example, cable television broadband providers and wireless phone providers have penalties for customers who terminate a contract early. Switching costs can involve time and psychological effort (Sanders and Huefner 2011). When you switch cable providers or get a new router, there is a learning curve related to using the new station guide, digital video-recording and setting up the router and connecting the devices to the router. The goal of producers is to lock-in their customers and lock-out the competition using switching costs. High switching costs make it difficult for customers to go elsewhere. Figure 1 illustrates the degree of lock-in related to various technologies and businesses. People shop at Amazon because the interface is easy to use, Amazon has competitive prices for millions of products, they store a ton of personal information on family and friends, and fulfillment is a snap. People buy from Expedia for the same reasons. The same goes for tax software. There are many downsides to being locked-in, but one particularly problematic area is that businesses that lock-in customers sometimes abandon innovation. The outcome is that companies eschew innovation and let their products and service languish in mediocrity. A block in a blockchain is a decentralized ledger where transactions, such as cryptocurrency transactions, are added as they occur (see Figure 2). Because the ledger is immutable, transactions cannot be changed. The blockchain software will not permit transaction updates. Once a transaction is posted, it is there forever. The net result of this immutability is that blockchain-based applications lock-in the data forever. Immutability is the strength and the Achilles heel of blockchain applications. The process of forking is the only way to correct major problems with the blockchain infrastructure. A fork spits the blockchain into two separate chains. Simple problems with invalid transactions, you sent your private key to yourself and someone stole it, or mistakes, you sent 10,000 coins to the wrong person, are difficult if not impossible to fix. So if there is a high-school picture of you in a blockchain-based photo repository, it will be there for generations to view. You are locked-in forever. Immutable systems go against the grain of the agile manifesto and agile software development. It is contrary to the spirit of agile innovation. Agile software development is an iterative and incremental development approach where requirements evolve, and the focus is on the customer. The interfaces evolve, the data structures evolve, and the solution evolves. You can use agile techniques in the initial design for a block-chain based application, but once the launch takes place, the evolution and innovation stops. Patching major holes in the system after launching is difficult. If a fork or major change in the blockchain is required, then there is a battle royal. The founders, the developers, the miners, and even the manufactures of the miner hardware are the new intermediaries and the owners. The founders and developers receive a substantial portion (20-30%) of the pool of tokens and coins. Satoshi has about 1 million coins, worth over $10 billion at $10,000 per Bitcoin, and we do not even know who he or she is. Even non-profits hold tokens for employees and future projects. See, for example, the Root Project. Blockchain technology, like all promising technologies, has desirable features and deficiencies. Theoretically, blockchain technologies and distributed ledgers should improve the integrity, tracking, security, and longevity of transactions for digital content, personal information, organizational assets, and the “real world.” Here are some suggestions for individuals and companies considering investing in blockchain and distributed ledger technologies. Large companies should begin testbed applications of blockchain technology by developing prototypes of blockchain applications. Employees from various organizational functions should attend conferences, watch videos, talk to vendors, search for additional information on the technology and develop a brief report on the market potential for the industry. If blockchain technology looks promising, then start building an application that complements the business. Don’t’ be worried about first-mover-advantage. That train has already left, and you are better drawing on the work of successful and unsuccessful investors in the technology. Small companies should also monitor blockchain technology and have someone report on an ongoing basis on the emergence of viable platforms for adopting the technology. The best strategy is to wait until an Amazon for blockchain arrives (ABS). It may even be Amazon. Amazon has purportedly registered amazonthereum.com, amazoncryptocurreny.com, and amazoncryptocurrencies.com. Individuals should just read about the technology and keep up to date. You might buy a small amount of amount of cryptocurrency and try to purchase something with it. Don’t spend more than 1% of your annual income. This is a great way to learn about the technology and watch how a digital currency transaction unfolds. It is a great learning tool. Stay away from launching your own ICO or initial coin offering. Many of the ICOs will fail, some of ICOs are scams, and in some instances they have the undesirable potential to compromise your credibility. You can’t believe much you read about the industry, but here is a study that claims 81% of ICOs are scams, 6% failed, 5% dead, and 8% went on to trade. Finally, resist buying a Bitmain Antminer S9 and start digital currency mining. You will not make enough money to cover electricity costs. Above all, don’t connect a long extension cord to your next door neighbor’s outdoor outlet to run a mining rig. If you want a simple and insightful overview of cryptocurrencies and blockchain check out John Oliver video produced by HBO. Be warned, some of the language used is explicit, NSFW and not for kids. Professor Bina Ramamurthy is offering several local and online blockchain and cryptocurrency courses in The Blockchain ThinkLab. This is a good overview of the blockchain validation process. If you are interested in a simulation illustrating the computationally intensive aspects of using hashes and nonces in proof of work, then go here and click on My Hash Program. Sanders, G. L. and R. J. Huefner (2011). 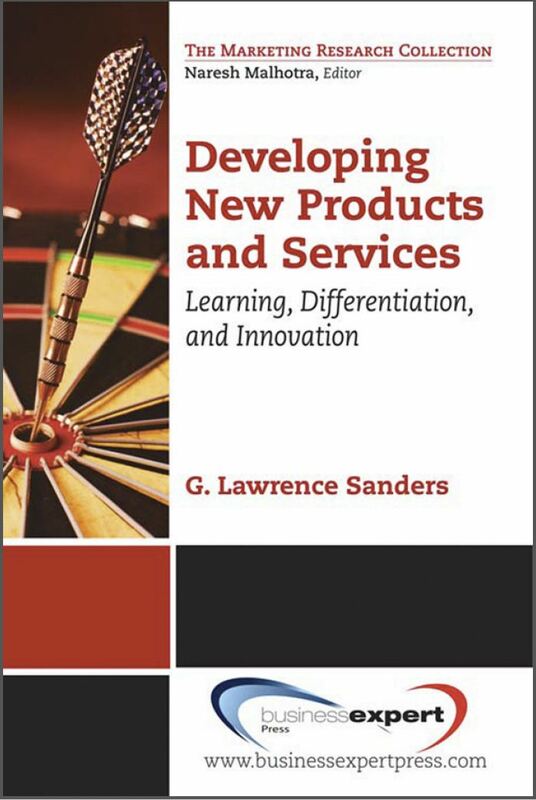 Developing new products and services: learning, differentiation, and innovation. New York, Business Expert Press. Shapiro, C. and H. R. Varian (1999). Information rules: a strategic guide to the network economy. Boston, Mass., Harvard Business School Press. Department chair responsibilities’ and several new projects have kept me busy the past year. Currently working on two major projects related to the role of monetary incentives in violating HIPAA laws and security breaches. Also involved in a project related to some of the underlying personality factors related to why people play online and offline games. There is also a super-secret curriculum project underway that has been occupying much of my time. And finally, there is the issue of blockchain and cryptocurrency. That’s all people want to talk about, and that will be the subject of the next blog post. The 2016 rendition of the 43North competition for $5 million dollars was outstanding. I attended the Thursday round-of-ten and am glad I did. The competitors were prepared, the businesses were interesting, the judges were polite as well as diligent, and the stage was audience friendly. There were a couple of glitches in last year’s competition. Last year’s cadre of combatants had several immature businesses, not bad ideas, just immature. However, there here were more than a few that deserved the money and the attention. ACV Auctions was the crown jewel of last year’s competition. I had earlier reported that one of the judges was permitted to invest in ACV Auctions before the finals. I was not able to verify that assertion. Dan Magnuszewski told me that they now have 40 employees at ACV. These hires are good news for 43North and the Western New York economy. The layout of the stage last year was an issue. The audience could only see what was going on by viewing the large screens. It was very disengaging. They corrected this, and I must say that this year’s competition was great entertainment and educational. The following presents an overview of each of the competitors and how they fared. I graded each of the competitors and ranked them and then sent my rankings to Tom Ulbrich of CEL and Sam Marrazzo of SuperiorGroup by 5pm on October 27th. The finals started at 6:30 pm that evening. The 43North Judges composite ranking was inferred from the email press release and Sunday Buffalo News article. They did not put the $500,000 names in alphabetical order, so I assumed that this was a composite judge ranking. Here are the results with my ranking. $1,000,0000 Oncolinxcombines an antibody that only targets tumor cancer cells with a toxin (Azonafide) that kills cancer cells. Great idea and many pharmaceutical partners. I ranked them 1. $600,000 HigherMe assists in finding, screening and hiring employees for retailers. Rob Hunter is an outstanding presenter. Tim Cook should hire him for launch days. I did not think the judges would rank HigherMe this high. I was wrong, and I actually agree with the judges after further reflection. I ranked them 6. $500,000 Asarasi produces organic water that is bottled by Mayer Brothers as a byproduct of maple syrup production. Great story with significant sustainability implications. I ranked them 3. $500,000 UltraCell Insulation produces water-resistant building insulation from recycled corrugated cardboard. Now you have a use for those Amazon boxes. Great sustainability idea. I ranked them 5. $500,000 PathoVax is a vaccine that targets all human papillomavirus viruses (HPV) that can cause cancers and other diseases. This looked like a no-brainer challenge for first place. But maybe the judges have better insight into this business than I did. I ranked them 2. $500,000 Formarum is a device that uses the existing swimming pool circulation system to chlorinate and disinfect swimming pools. It has an app, and it is self-monitoring.This was my favorite creative idea in the competition. This idea is so simple, yet powerful enough to be adapted to a wide variety of applications. Beautiful design and just cool. I ranked them 4. $500,000 WeDidIt assist nonprofits in mining existing donors to develop specialized targeting strategies and to assist with the entire fund-raising process. They can garner a tremendous amount of information from the email addresses of existing donors. I ranked them 7. $500,000 Bounce Imaging has a throwable 360-degree camera that can be used for first responders for disasters, fires, and police situations. Very intriguing idea. Getting local Buffalo police testimony was a good tactic. I would want 2 or 3 of these cameras in each responding vehicle. Might be a little pricey, at $2,300 plus. I ranked them 9. $10,000 The Wealth Factory design games to improve financial literacy to assist in preparing students to meet the financial core standards. This will be an important way for students to become more engaged in education. One of the judges does not play games. Ok, but if you want to understand the Millennials and Generation Z, you need to try them. They received $10,000 as the People’s Choice Winner. I ranked them 8. $0.00 Arthena is a crowdfunding platform that offers investors to invest investing in artwork funds such as emerging art, modern masters, and contemporary art. I think the judges were unsure about the concept and giving the 43North imprimatur. This will probably end-up be making some people millions. Too many questions about this. I ranked them 10. The most intriguing aspect of Walter Isaacson’s biography on Einstein was his numerous discussions of thought experiments. Einstein conducted many, many thought experiments. Thought experiments helped Einstein to understand and disentangled complex concepts and to develop theories. Thought experiments need to be rhetorical in a good way. A good thought experiment should be artful, eloquent, effective and persuasive in conveying the ideas, but not too pretentious or bombastic There is a downside to rhetoric in that the innovator, the scientist or the storyteller may be too good in developing a colorful and vivid description at the expense of gathering facts and testing the veracity of the theory. Sometimes thought experiments can actually confuse more than illuminate. The thought experiment may not work because of differences in the eyes of the beholder, because it needs more refinement or because it is invalid. Here are some guidelines for developing your own though experiment in order to tell a clear and cogent story. You need to be able to explain your concept in 3 or 4 sentences. You should eventually write your ideas in a paragraph. You should try to present your thought experiment on 1 page. It should be self-explanatory. You should present your thought experiment to many people. You should refine your thought experiment over and over after you receive feedback. You should sometimes return to your original iterations and ignore some of the feedback. You should let your ideas incubate. Layoff the idea for several days and do this often. You should be obsessed with the project and the compulsive about the details. I believe that thought experiments are the genesis of all innovations and creative process. This includes new products and new business models. Sometimes scientific thought experiments are verified by real-world experiments, data collection, and mathematical proofs. The innovator progressively validates a thought experiment with the pitch and the business plan. The plan and the pitch are the refinement and incarnation of the entrepreneur’s thought experiment. The ultimate validation is when the business or the innovation goes live. Figures 1 and 2 illustrates the migration of a thought experiment involving tracking individuals, pets and expensive assets. The initial drawing and narrative was started on Sunday evening and 3.2 was completed by 7am on Tuesday. Feedback from several individuals helped to refine the drawing. Most of the time was spent futzing around with the interfaces of the two apps and locating symbols and graphics. The idea was derived from several student projects and from watching my son crack our Wi-Fi password in less than an hour using Backtrack. I think similar cracking code could be implemented in a very small unobtrusive device. CPU, memory, Wi-Fi, cellular and GPS chipsets are shrinking in size and price. This technology has undoubtedly been developed in some form. But, there is always room for improvement and a thought experiment can be used to drive that process. Walter Isaacson’s 2007 biography entitled Einstein: His Life and Universe, Simon Schuster is one of my favorite books. It does a good job of describing how thought experiments influenced Einstein’s ideas. Great animations of thought experiments can be found at Brain Pickings. BTW some of these animations don’t really help me to understand the ideas. Horowitz and Massey present a detailed discussion of how thought experiments have influenced scientific reasoning and philosophy. Here is an interesting discussion of Einstein’s chasing a beam of light thought experiment by John Norton and go here for more of his philosophy of science work. Another good philosophy book on the what, how and whys of thought experiments was written by Roy Sorenson. 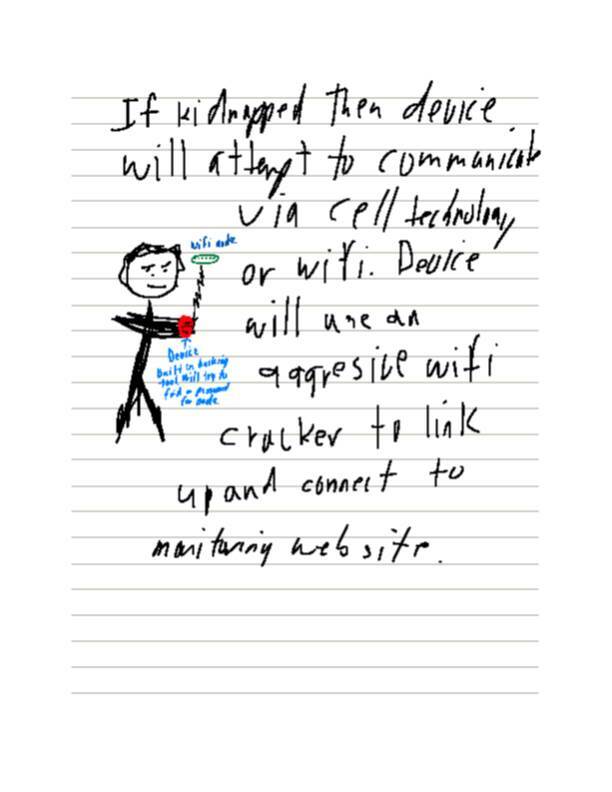 Here is an illustration of a brute force method for cracking WiFi access points. This type of tool is available on a number of free digital forensics and penetration testing tools such as Backtrack. No, we are not safe from intrusions. A good business plan should draw on prototyping to create a virtual world that looks and acts like the real thing. 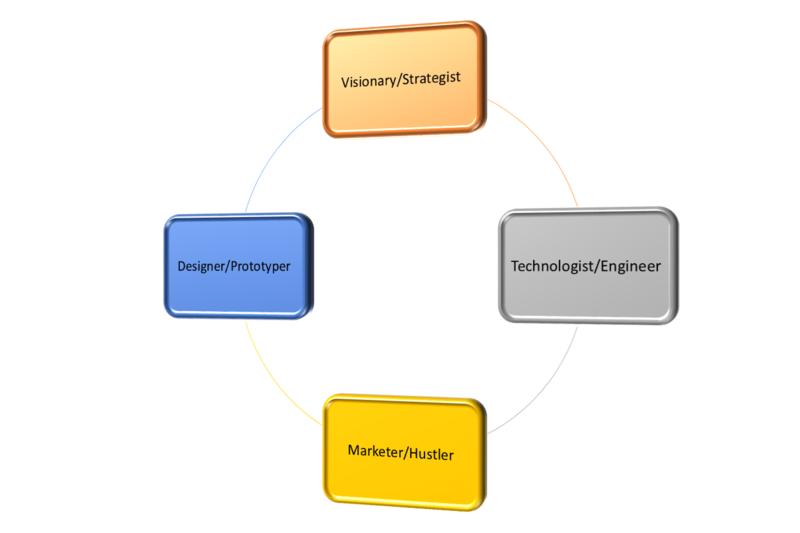 Developing product and process prototypes is the cornerstone of developing a virtual business model because prototypes facilitate the understanding of how the business will work. I see between 30 and 40 students business plans each year. It is not unusual to hear the following complaints at least five times each year: “They just don’t understand our business model.” or “They just don’t understand what we are doing.” There are many reasons that they do not understand, including the idea might be flawed, the business idea needs to be refined, or they have simply not communicated their business concept in a clear manner. 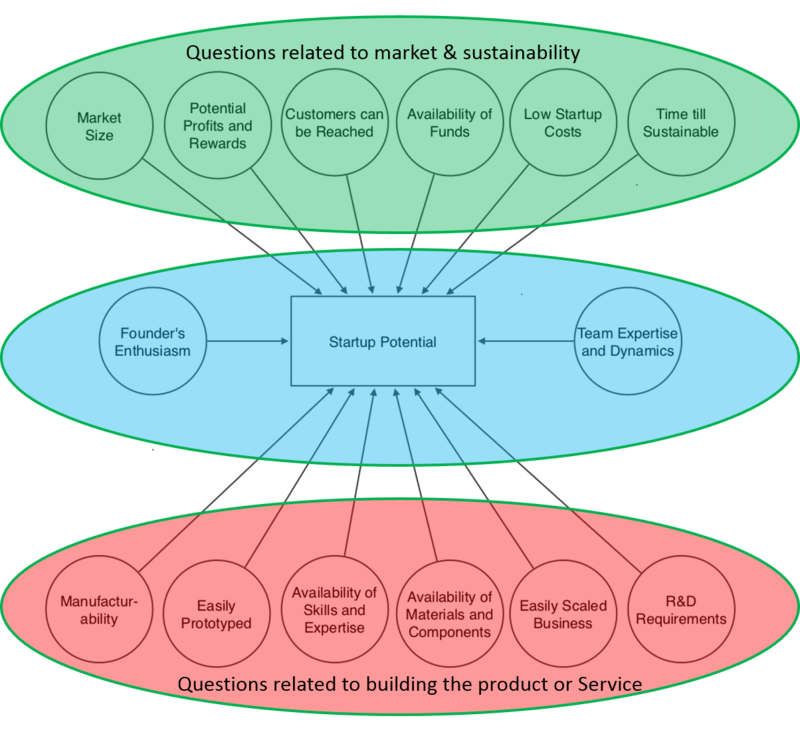 The business plan is often the centerpiece of communicating the business model to outsiders such as investors, family, friends and other interested parties (see Figure 1). A more important use of the business plan and the executive summary is that they serve as communications platforms among the founders. It is, after all, the interplay and social dynamics among the founders that are the keys to success ( see Jennifer Houser on How to Build an Insanely Great Founding Team). The evolution of the business model and the business plan involves hard work, but there are tools that can improve communication and facilitate the process. Prototyping, in one of its various incarnations is the centerpiece of these tools. Prototypes are usually associated with the development of products and services. With successive iterations, or stepwise refinement, a prototype becomes more and more like a real product or service. 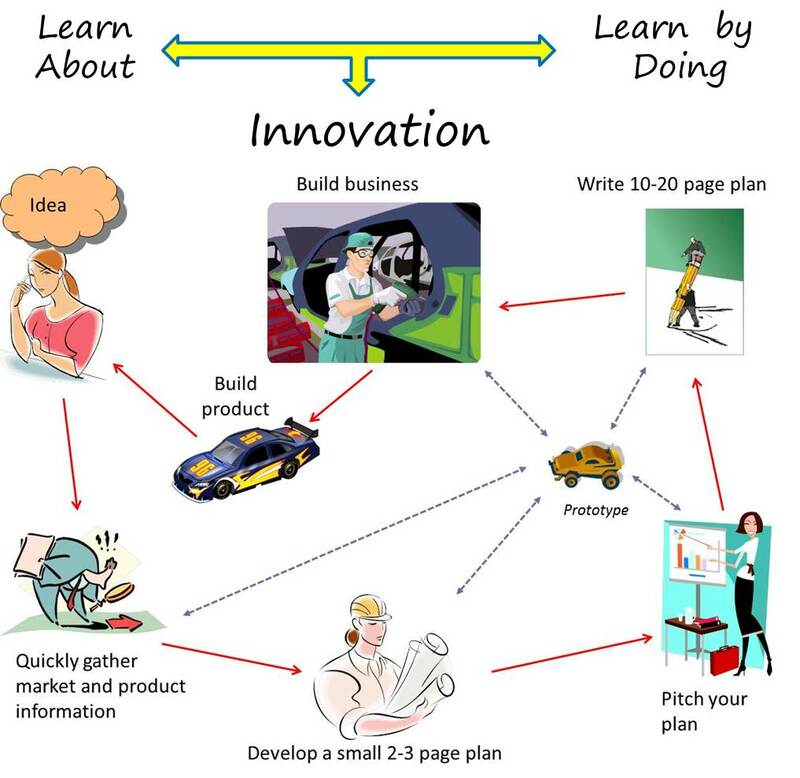 Prototyping can also be applied to the development of the business model. With successive iterations, or stepwise refinement, a prototyped business becomes more and more like a real business. It is rarely feasible to build the product, service or entire business without some type of stepwise refinement. The executive summary, the business plan pitch and the business plan itself are not the actual business, but are actually models of what the business will produce and how it will function. Ideas evolve over time. Prototyping is a very powerful tool because it facilitates learning and understanding and it reduces the length of time of the evolutionary process. Prototyping involves experimentation and encourages the evolution of ideas and leads to insight into the design of a viable product, a service and the business model. A blend of learning-by-doing (prototyping) and learning-about (education, reading, searching and synthesizing) is necessary and the foundation of the creative process. Research has cosnsistently shown that prototyping and collaboration facilitates the mutual and concurrent learning processes of all of the individuals involved and that it results in strong feelings of ownership towards the product, service or business model. There are a variety of ways that prototyping and stepwise refinement can be used to develop a business model and new products and services. Here is one approach that is characteristic of how prototyping can be implemented. Initial Prototype: In the early stages, develop a pencil and paper picture of the product, the application or the process. The key is to focus on the vital and essential functions of the product or service. Review by Interested Parties: Let business stakeholders, family, friends and potential customers provide feedback on the product or service. Revise and redesign prototype: Use the feedback to refine and improve the design of the product or service. Use more advanced tools as the prototype becomes more refined and detailed. This usually leads to the use of graphics, drawings and mock-up software. Towards the later stages of development, the prototype might be a functioning product or service or an actual application with some level of functionality. Go back to step 2 after revising and redesigning the prototype. Services and businesses processes can also be prototyped. There are a number of tools that can be used to conceptualize, design, and test the design of the service including drawings, sketches, scenario analysis and task structuring, mock-ups, storyboarding, systems, Lego mock-ups, and other tools including simulation (see http://www.servicedesigntools.org/repository ). One popular tool for designing services is service blueprinting. 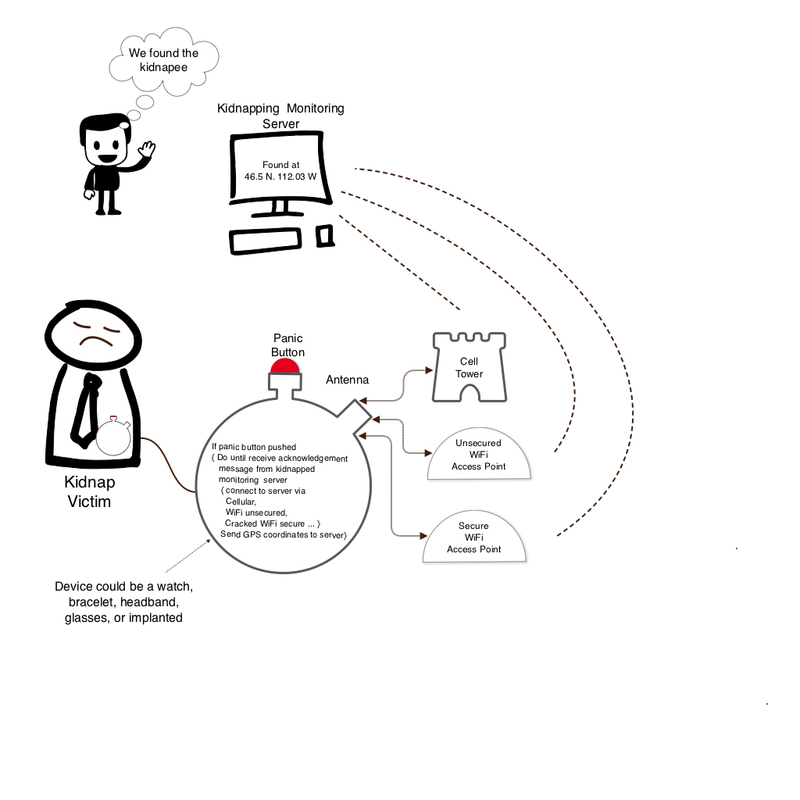 It is a visual and descriptive tool for modeling visible customer interactions with employees and processes that also illustrates how the hidden processes support the customer interactions. In summary, prototyping and prototypes are very effective tools for facilitating the evolution of ideas and for presenting a virtual world, a virtual business, a virtual product or virtual service to interested parties. In the last couple of years I have focused on having the student groups develop prototypes for their business plans. The results have been outstanding. Check out the business plans and presentations on my SkyDrive here. Also check out Chapters 6 and 7 for additional discussion on the role of prototyping in innovation and creativity.